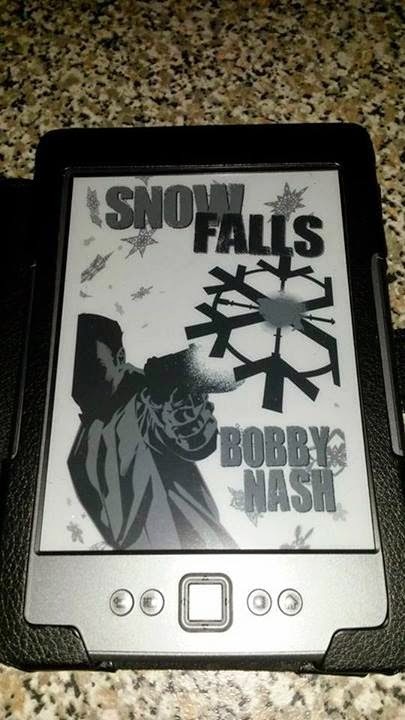 MEET AUTHOR BOBBY NASH AT CONNOOGA THIS WEEKEND! Join me at ConNooga​ this weekend in beautiful Chattanooga, TN. 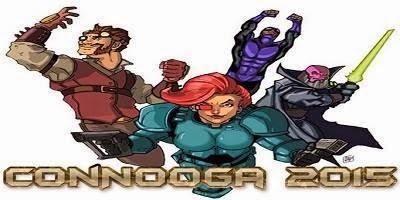 Follow ConNooga on Facebook and Twitter. Follow me on Instagram, Facebook, and Twitter where I'll post photos from the event. 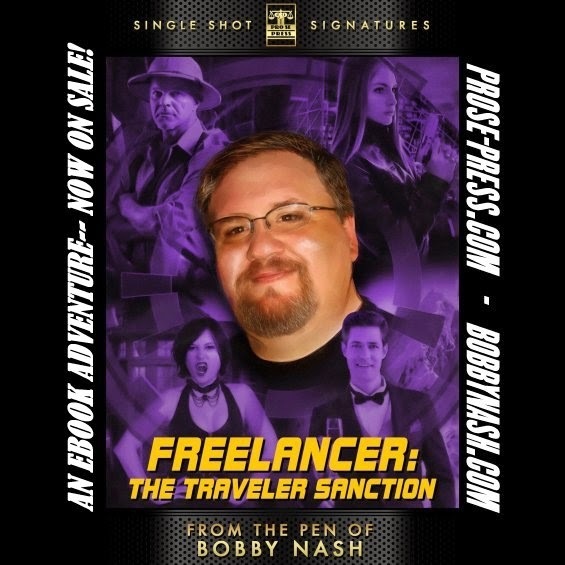 PRO SE'S SINGLE SHOT SIGNATURE IMPRINT- FROM THE PEN OF BOBBY NASH DEBUTS! WOW. 2 releases in one day. 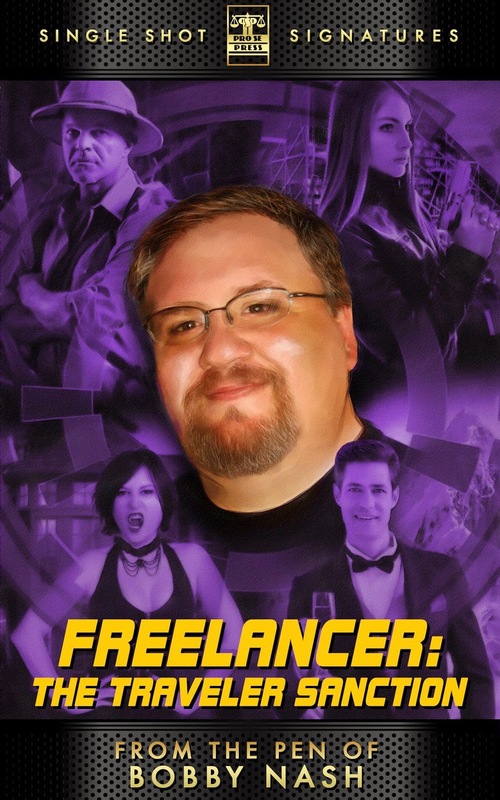 I'm excited to announce the release of my ebook novella, Freelancer: The Traveler Sanction, part of Pro Se's Single Shot Signatures series. 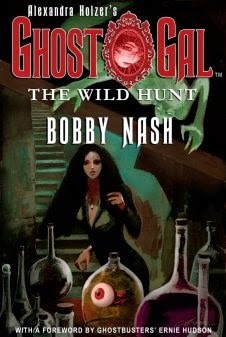 AWARD WINNING AUTHOR BRINGS UNIQUE TAKE ON PULP ADVENTURE AND INTRIGUE TO PRO SE SINGLE SHOT SIGNATURE IMPRINT- FROM THE PEN OF BOBBY NASH DEBUTS! IT'S BIGGER! IT'S BADDER! IT'S HERE! 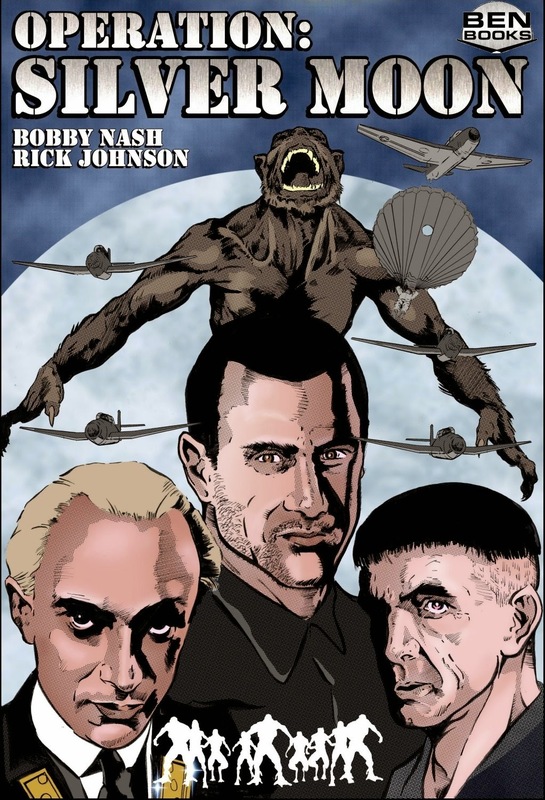 THE BIG BAD II HITS BOOKSELLERS! 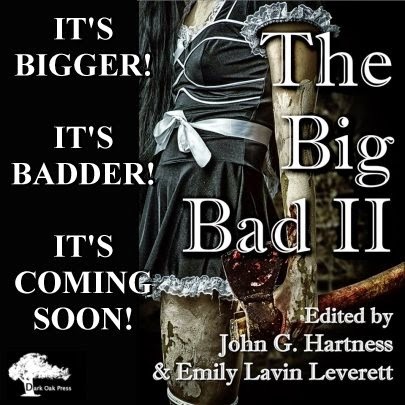 Get ready to root for the bad guy on Feb 24th when The Big Bad II: Another Anthology of Evil is released from Dark Oak Press. Pre-order for your Kindle Today! 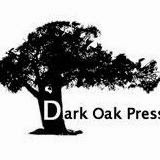 Click here to sign up for Dark Oak's newsletter. If you're in or around Chattanooga, Tennessee this weekend, The Big Bad II launch party is Friday night, February 27th at Connooga. 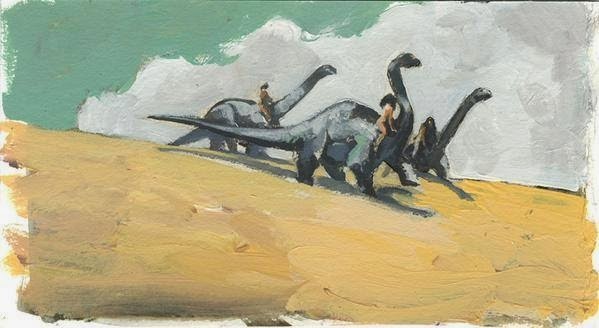 GREETINGS FROM SUNNY PELLUCIDAR! WISH YOU WERE HERE! 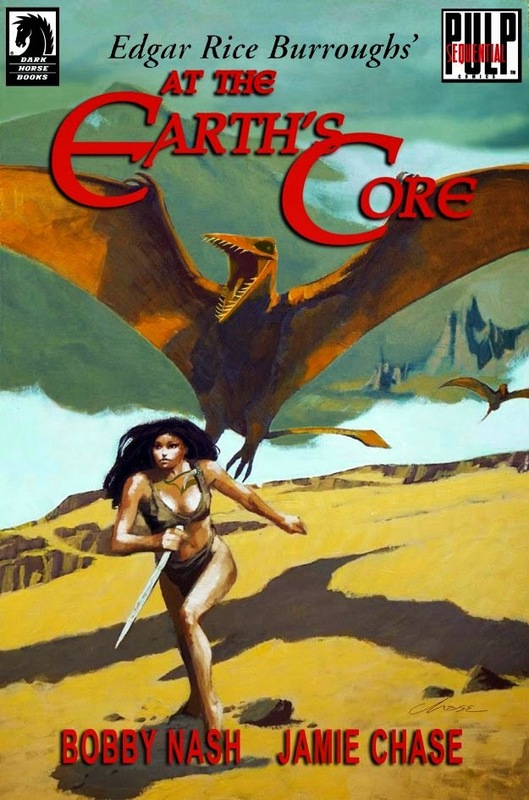 Postcard from Thoria, by Jamie Chase. 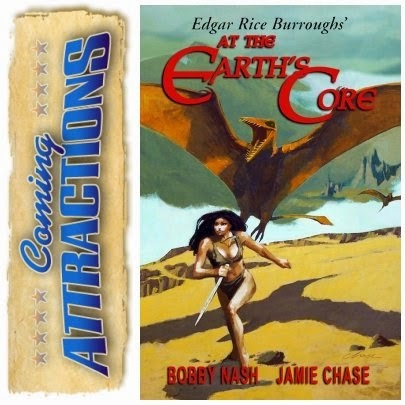 Edgar Rice Burroughs' AT THE EARTH’S CORE™ graphic novel, coming to stores this September by Bobby Nash and Jamie Chase from Sequential Pulp Comics and Dark Horse Comics. It's always noon in Pellucidar! 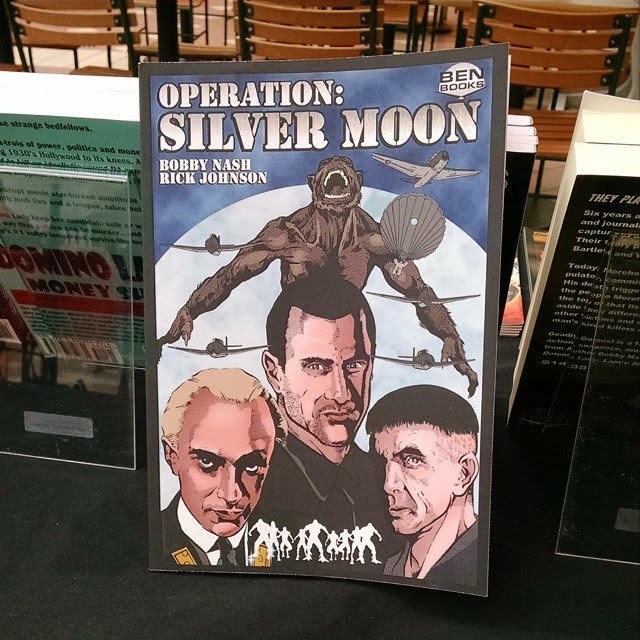 Operation: Silver Moon's Bobby Nash and Rick Johnson visit Art Sippo’s Art's Reviews podcast. You can listen to the exciting new episode here. 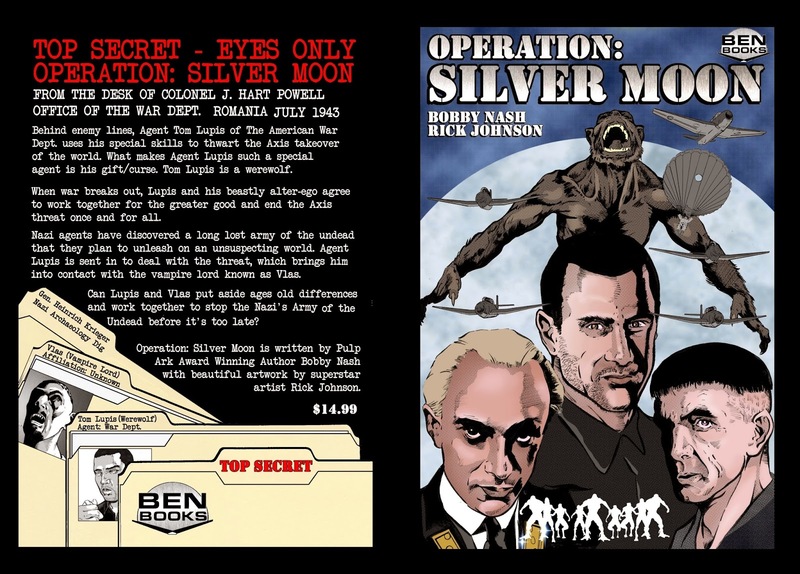 Award winning writer Bobby Nash and writer-illustrator Rick Johnson talk about their graphic novel “Operation: Silver Moon.” The story takes place during WWII as the Nazis uncover a long buried horror from the Middle Ages. To combat this, the US sends its own modern horror hero who picks up an unlikely ally along the way. Let Snow keep you warm this winter! 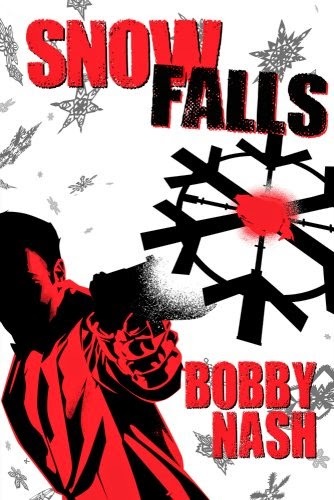 All this talk of snow falls and precipitation makes me think of this guy! 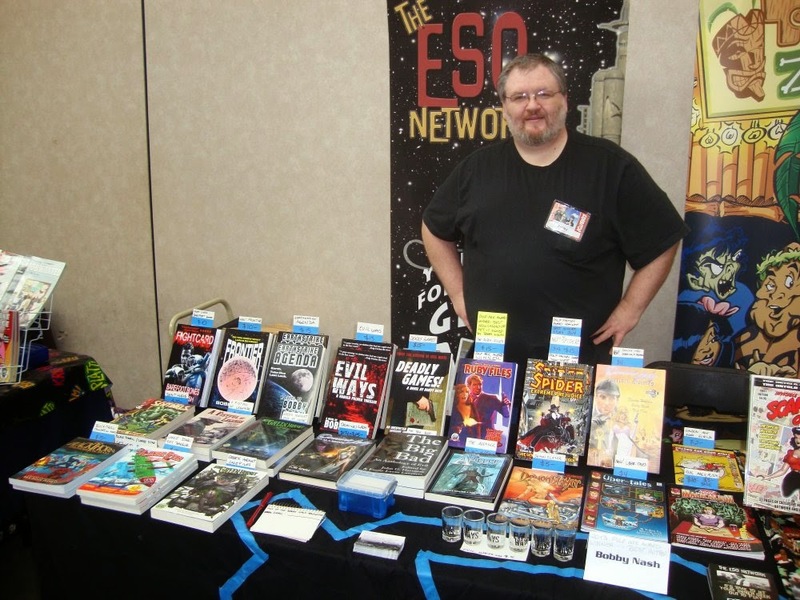 THIS WEEKEND-- MEET BOBBY AT THE ATLANTA SCI-FI AND FANTASY EXPO! 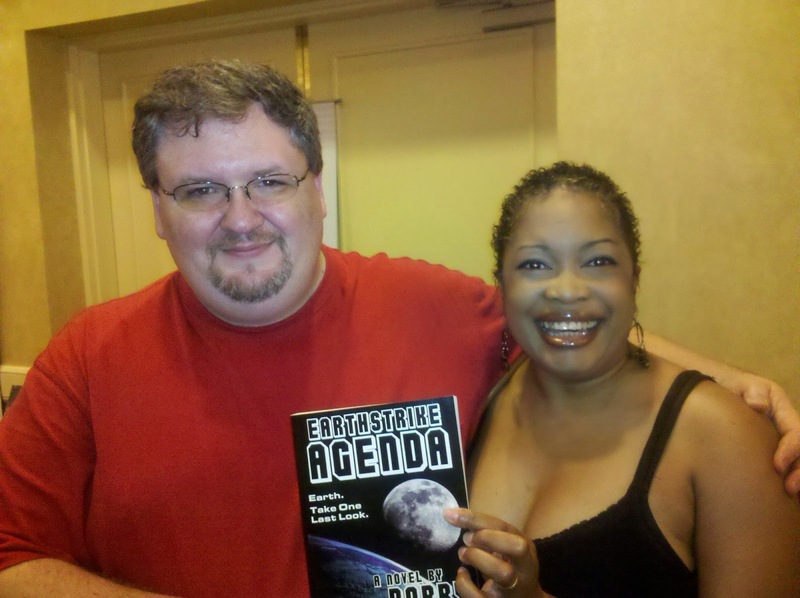 This weekend, I'll be a guest at the Atlanta Sci-Fi and Fantasy Expo (ASFE). Join me and a great guest line up on February 21st and 22nd at the North Dekalb Mall in Atlanta, GA for the first in what I hope is many conventions in this location. In addition to having books on hand, I will also be doing panels and would love to see you there. Learn more about the convention, hours, location, and other guests here. Follow me on Instagram, Facebook, and Twitter where I'll post photos from the event. It'll be fun. Bobby and Yolanda at ACC in 2012. Big thanks to Y.I. 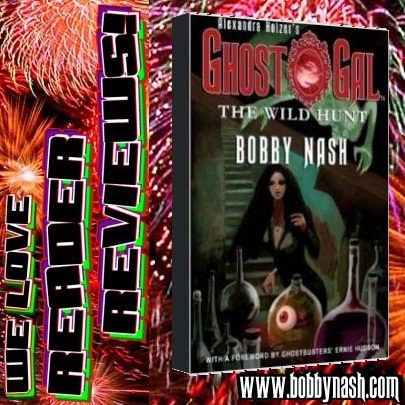 Washington for her Amazon Review of my novel, Alexandra Holzer's GHOST GAL: The Wild Hunt. Thanks, Yolanda. It is appreciated. 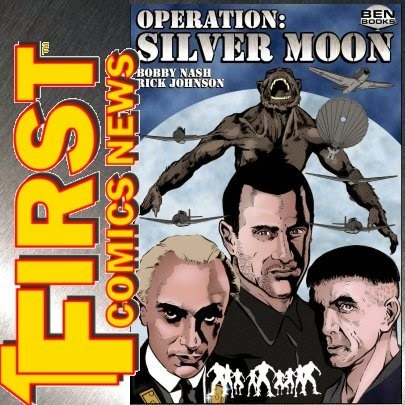 Our friends over at First Comic News shine a spotlight on Operation: Silver Moon, the recently released graphic novel by Bobby Nash and Rick Johnson. 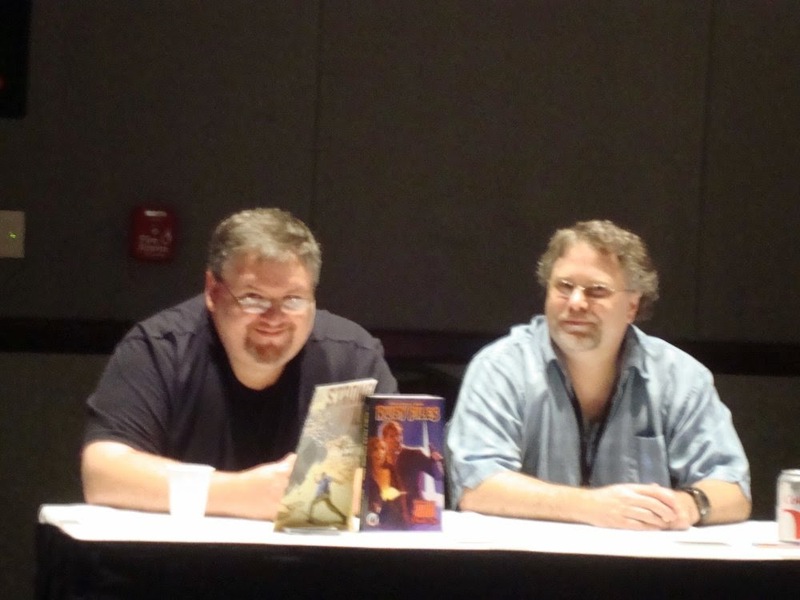 Bobby and Sean at one of their many convention panel appearances. My buddy, Sean Taylor​ tagged me in this over on Facebook and I thought it might be fun to share here. Favorite flower - uh... roses, I guess. Favorite something that you never buy yourself because it seems silly (but you secretly want it) - I'm drawing a blank, but some type of clothing, I'm sure. I hate buying clothes. 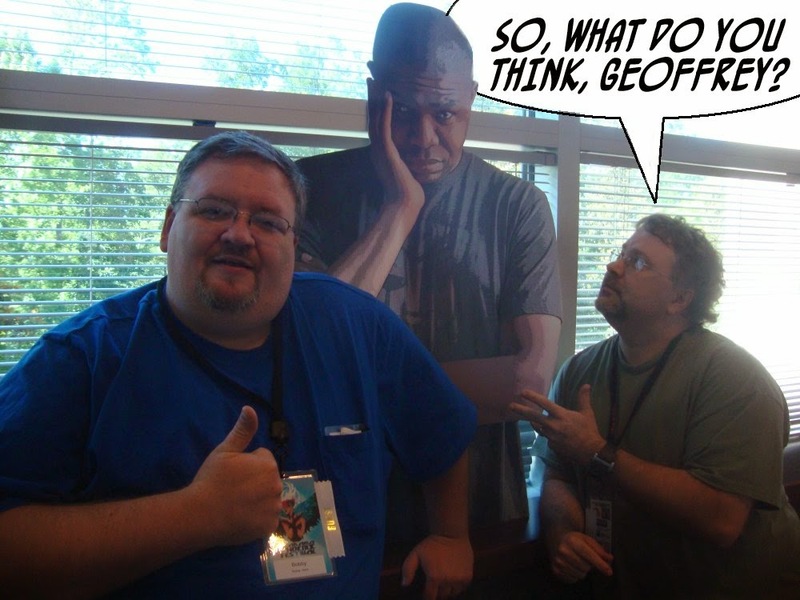 So, what do you think, Geoffrey? Inside joke. You had to be there. Favorite TV show - Currently: Justified. If you could have anything for a day, what would you want- a day off. It's been so long since I've had one of those. I'm tagging... no one, but if you want to do one, please, be my guest. 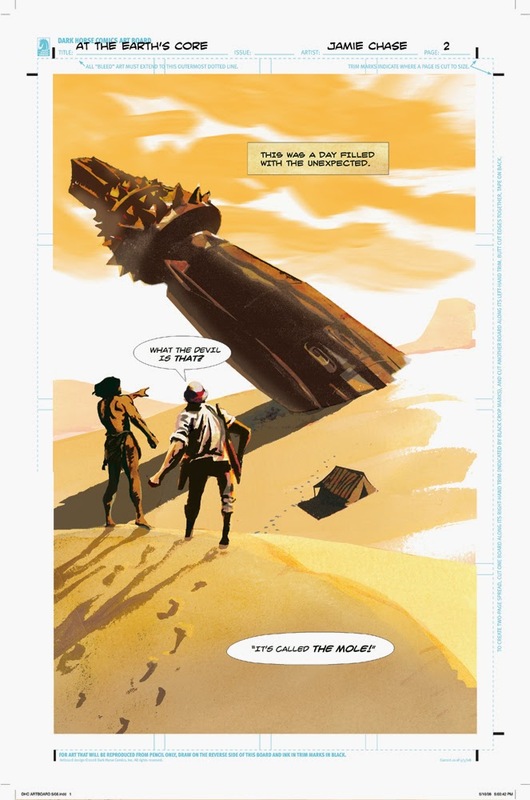 PULP COMING ATTRACTIONS SPOTLIGHTS ERB'S AT THE EARTH'S CORE GRAPHIC NOVEL! COMING IN SEPTEMBER! 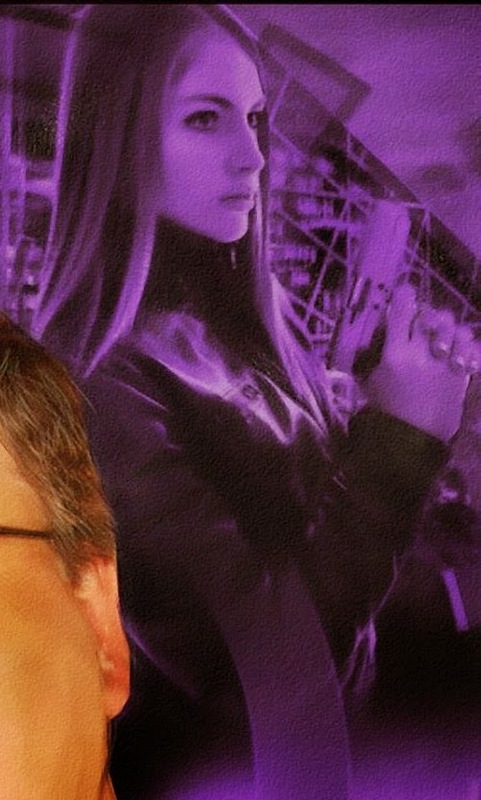 Look what was featured on this week's Pulp Coming Attractions​ site. Visit Pulp Coming Attractions here. 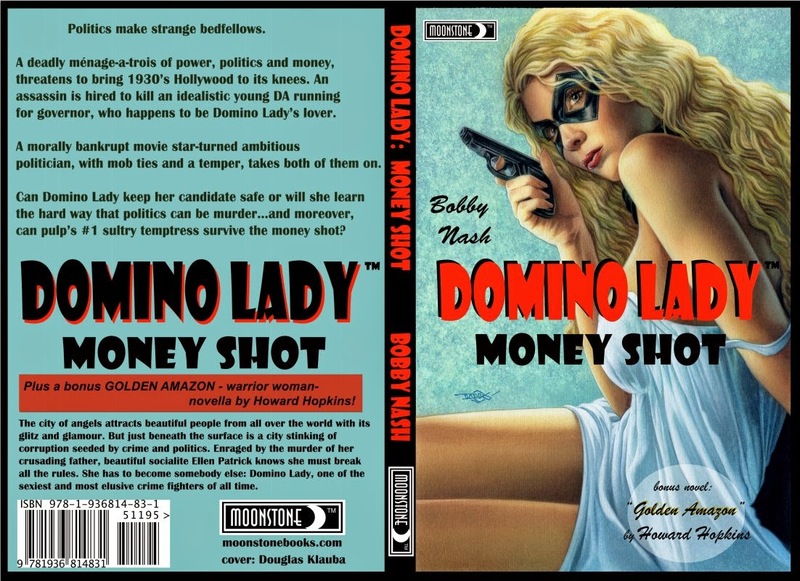 NEW AMAZON REVIEW FOR DOMINO LADY "MONEY SHOT!" 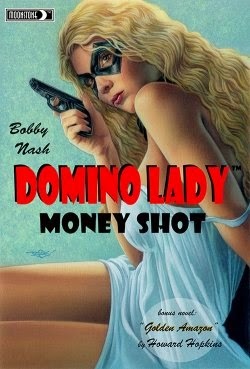 Big thank-you-very-muches to David L. Brzeski for his Amazon review of my Domino Lady: Money Shot novel. Thanks, man. You can read the full review here. 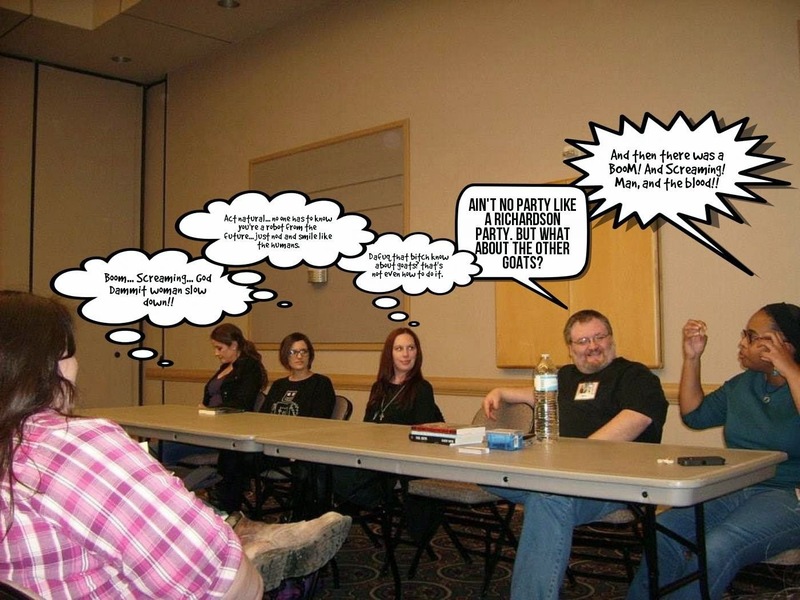 BOBBY’S CONNOOGA PANEL SCHEDULE REVEALED! always popular PLOT OR DIE! which is a can't miss event. I will also have a set up somewhere on the convention floor as well. It'll be a fun time. 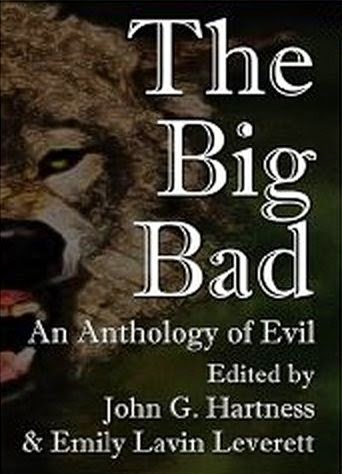 Also, I believe ConNooga will host the official launch party for The Big Bad II anthology. More news on that as I have it. 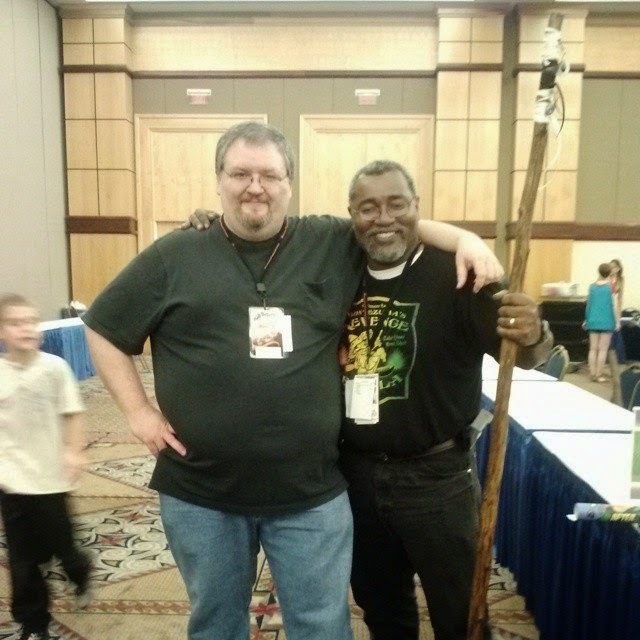 A couple more shots from ConNooga 2014. A fun time was had. 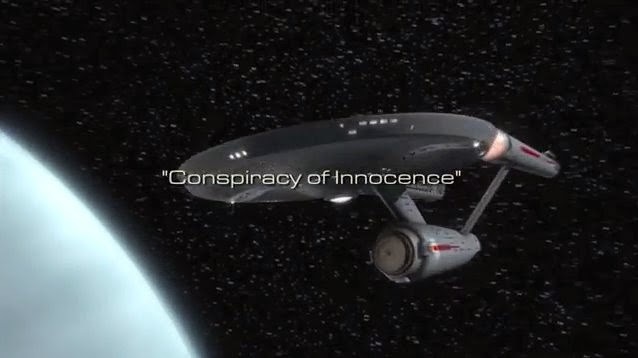 Starship Farragut’s “Conspiracy of Innocence” episode that I wrote is one of 14 films entered in the 1st Annual Independent Star Trek Fan Film Awards. The finalists in each of the competition's nine categories will be announced in March and the winners will be announced at Treklanta on Sunday, April 26. 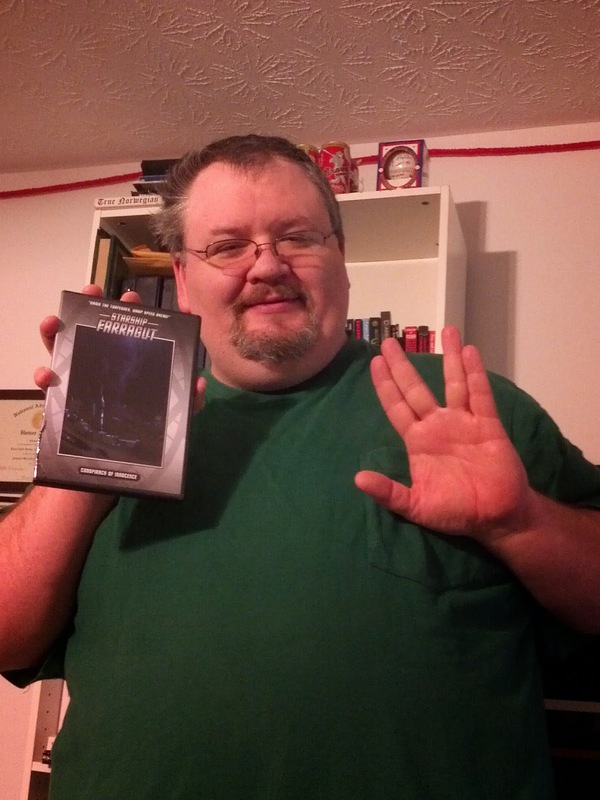 The first annual Independent Star Trek Fan Film Awards will be hosted by Treklanta Chairman Eric L. Watts and the winners will be announced by the convention's Guests of Honor, including Sean Kenney, Jason Carter and Keith R. A. DeCandido. 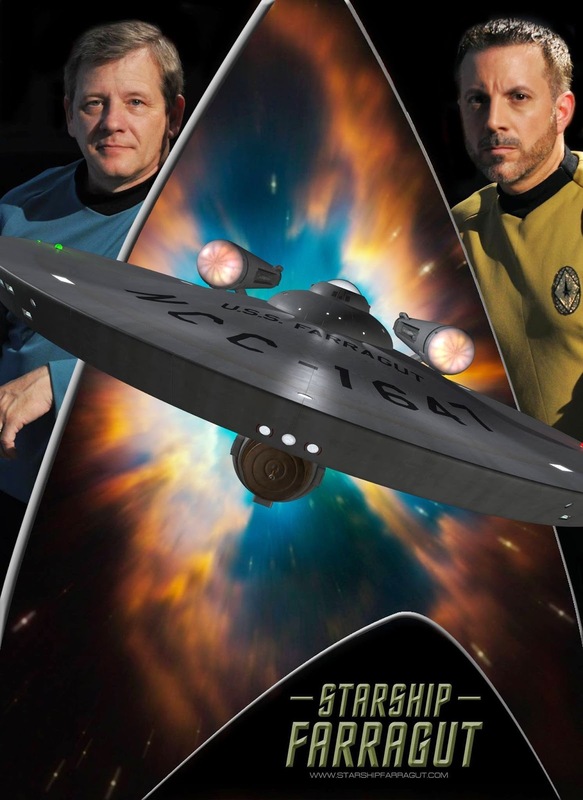 Please plan to attend this historic event as we recognize outstanding achievements in excellence among the independent Star Trek fan film community. 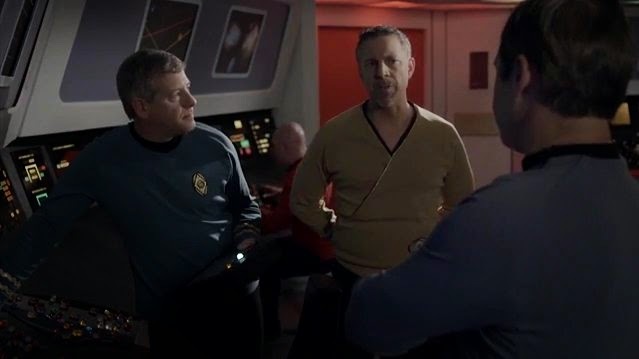 Please visit the Independent Star Trek Fan Film Awards Facebook page at https://www.facebook.com/groups/760450634041849/. For more information about Treklanta, including pre-registration, hotel and other guests, events and activities, please visit www.trektrax.org. I’m excited to be part of this and hope our film makes the final ballot. 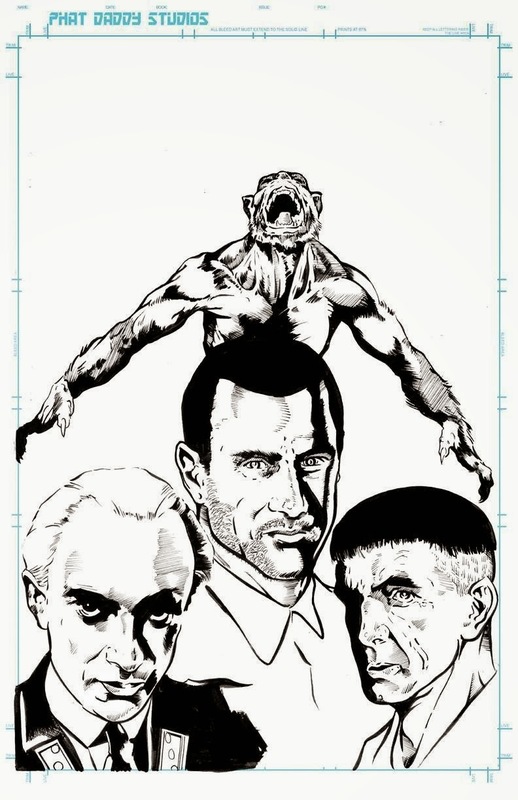 BIG BANG UNIVERSE #1 NOW IN PREVIEWS! 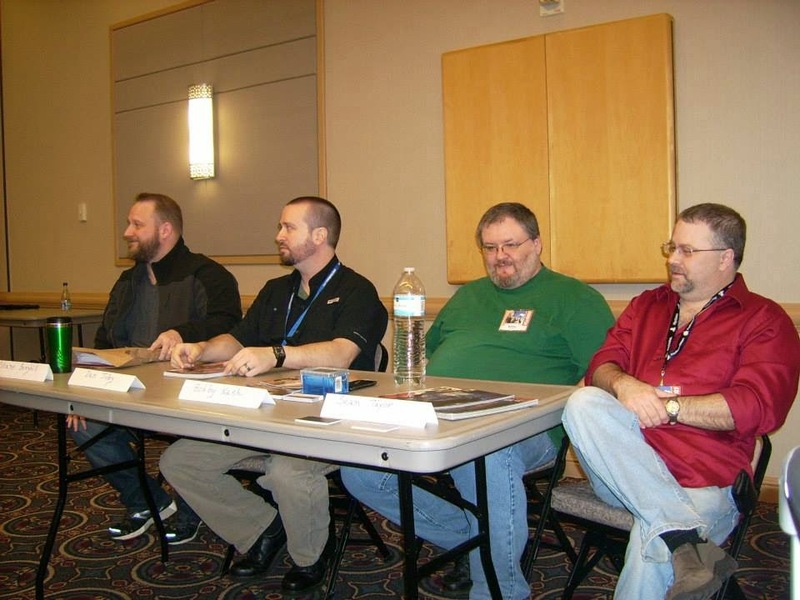 2015 PULP FACTORY AWARDS NOMINATIONS ANNOUNCED!